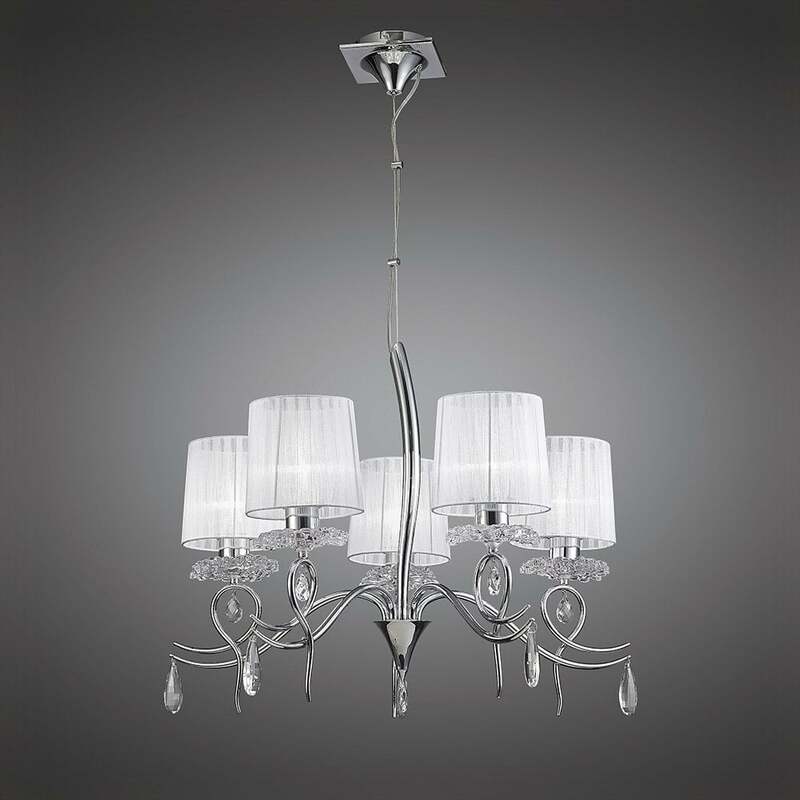 Mantra Louise 5 light multi arm fitting features a square ceiling plate, suspension wire and curvaceous frame all in a shiny polished chrome finish laden with exquisite, faceted crystals. The product code for this ceiling fitting is M5271. Created by designer Jose Ignacio Ballester, this sophisticated fixture adds a contemporary touch to a traditional lighting style, channeling the luxury of times gone by and is the perfect compliment to modern living spaces. The framework has loops within the design and is accented with crystal droplets and beneath each lamp holder is a beautiful faceted sconce which reflects the light beautifully whilst being gently softened by the organza white shades. Also available in this eye-catching new range from Mantra are alternative ceiling fittings, wall, floor and table lamps all of which can be viewed and purchased via our website.